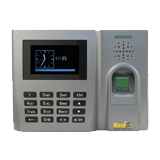 With WaspTime Biometric time and attendance solution, you can enjoy the benefits of an automated employee time tracking system with the added convenience and security of biometric (fingerprint) authentication. 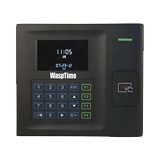 The WaspTime Biometric solution features time and attendance software paired with a B2000 biometric employee time clock. The B2000 biometric clock allows employees to clock in and out quickly and easily, using just a fingerprint. 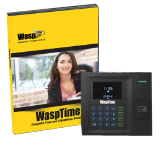 The WaspTime Biometric solution delivers secure, reliable employee time and attendance tracking. A biometric time and attendance solution eliminates the cost of employee badges and the ongoing management of damaged, misplaced, or stolen employee badges. 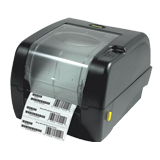 Using biometric technology to track employee time and attendance also eliminates the extra labor costs associated with buddy punching.